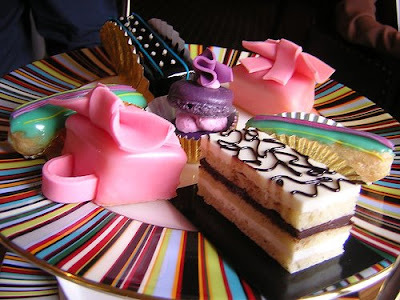 Sweet Fancy Treat: Tea Party. You Are Cordially Invited. I recall watching the full story on TV some time ago. Prêt-à-Portea now comes again into attention because of the upcoming New York Fashion Week. Here's a good one: what would look good on a plate, not only on the runway? Prêt-à-Portea has now jumped the pond from London right to New York. The idea was originally launched by the Berkeley Hotel in London. But this year, during New York fashion week, the Fifth Avenue luxury store will have its version of Prêt-à-Portea. Afternoon tea? Yes, please! 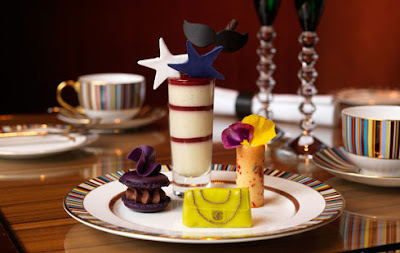 The Berkeley’s Prêt-à-Portea, known as London’s most fashionable afternoon tea, makes its debut at BG, Bergdorf Goodman’s chic eatery exclusively during February Fashion Week 2009, marking its first New York collection. The season’s most covetable fashions now in bite-sized goodies: Christian Louboutin’s Pigalle silver glitter shoe biscuit (famous red sole included, of course), Michael Kors’ striped polka dot dress almond sponge cake and this season’s must-have, pale yellow Chanel clutch with banana Madeira flavours. Linda Fargo and Roopal Patel, the ones in charge with all fashion isuues at Bergdorf's have chosen the styles to inspire the tea service. 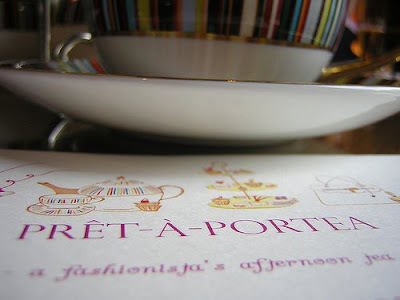 Between the 13th and the 20th of February 2009, Prêt-à-Portea is right there at the BG Restaurant,754 Fifth Avenue on the seventh floor. 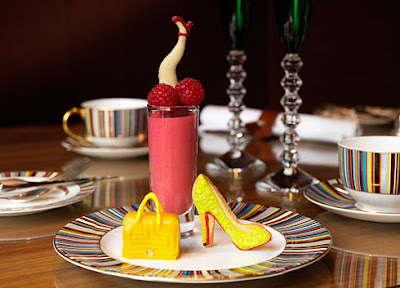 There to enjoy: cookies, petits fours and layered desserts based on the designs of Christian Louboutin, Chanel, Marchesa, Oscar de la Renta, Michael Kors, Thakoon and 3.1 Phillip Lim. One word: Yum. 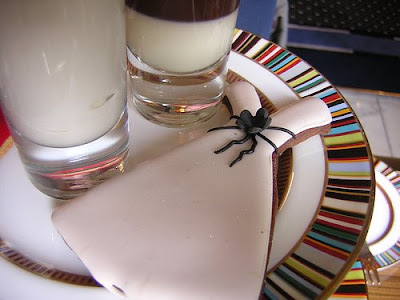 I want to sink my teeth deep into a cookie dressed up in pink icing! Oh my goodness that is amazing. I pretty much think I just fell in love. Your blog is so wonderful, and fun, and cute and great!